Our skilled designers can offer clients many hardscaping ideas for small backyards. You have come to best company for the best creative hard-scaping ideas. We have trusted paving contractors for commercial or residential asphalt and concrete paving services. We highly specialize in concrete foundations. Our contractors can build sidewalks and parking lots too. Our expert contractors can handle all of your commercial or residential paving needs at a very affordable price. Our hard-scaping ideas for front yard are inspirational, creative, attractive, bold, and environmentally friendly. We can provide you with a free consultation to help determine your hard-scaping needs. We can provide you with a free quote or free estimate on hard-scaping costs. We will accept home insurance coverage payments too. We can work closely with your home insurance provider to collect the payment for services we provide. Get your yard ready for the spring season that will soon be arriving. Hard-scaping DIY can Be costly and time consuming. Our company can save you both money and time. You may contact us right here or give us a call today. 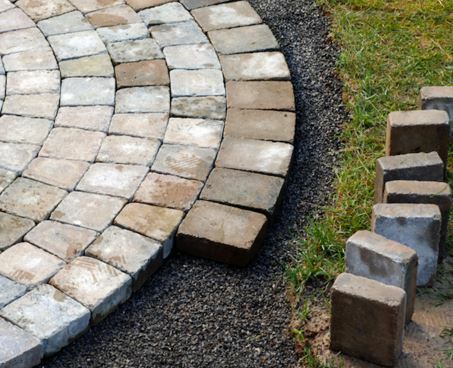 Our contractors only use the highest quality ofhard-scaping materials to do the best job for you. By choosing hard-scaping services, you will be making a valuable investment for your home or business. We are the experts in hard-scaping and landscaping services.we employ surface engineering specialists who have been formally trained in the landscaping and hard-scaping fields. We offer our customers a very wide range of landscaping sand hard-scaping design options to choose from. The initial process will start with a visit to your home or business site to meet you and review the property. At the important meeting we will discuss your landscaping goals and unique ideas to help us determine the first steps to take in creating a unique, beautiful, and natural landscape or hard-scape setting for your home or business. When you choose us, then you are choosing the best. Your front lawn or backyard can look neat, clean, beautiful and attract attention from family, friends, visitors or customers. We help your property stand out among the rest in your community. We deliver each client personalized services. Let us help you create your landscaping or hard-scaping plans today. We never rush our clients when making decisions. We stress the importance of having a beautiful landscape. Speak with one of our professional landscaping designers now. We offer seasonal services, great package deals, weekly service or monthly service. No job is too small or too large for our contractors.